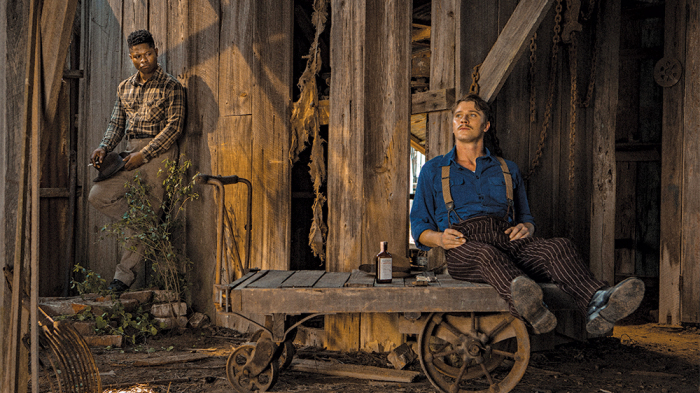 When WWII crashes down on their world, both families send their golden sons (Garrett Hedlund and Jason Mitchell) off to war. Both are celebrated for heroics oversees, but come home scarred, which leads to their unlikely friendship even as Ronsel (Mitchell) is immediately regulated to second class citizenship in Mississippi after being heralded as a liberator in Europe. The film lingers on this cruel irony and the ingrained racism that bubbles up and boils over in tragic ways when simple folks like Pappy can’t even bear the thought of a black man with dignity. Dee Rees’ soulful direction and Virgil Williams’ humanist screenplay are at their best when the camera lingers over the land and tells its story from multiple POV’s through voice-over narration visualizing the successful style of the novel by Hillary Jordan upon which it is based. The combination of Rachel Morrison’s cinematography and Mako Kamitsuna’s editing enables those yearning voices to soar and seer into one’s heart and mind…with Mary J. Blige (whose voice, both earthy and velvety, when sung or spoken) the standout among the canopy of voices deserving to be heard. As for the overall performances, they are universally powerful, but Jason Mitchell as Ronsel truly towers, especially when you realize he was equally great as Easy E. in Straight Outta Compton. Mitchell displays an impassioned range that shows as much career promise as Dee Rees’ compelling direction for what will hopefully be many years to come. The film isn’t always so fluid, and at times the story-telling is choppy, leaving one wondering about the artistic struggles over what to keep and what to discard from the source material. There are times when you wish more backstory or motives were provided…and I couldn’t help but wonder if the epic generational story would’ve been better served by a mini-series format. However, the messiness between those vivid moments of beauty, heartache, pain, and tragedy mirrors the messiness…and mudiness…of the lives depicted here. It’s fitting then, in the end, though rosy-colored as it may seem, that like Ronsel, the film itself chooses to rise from that mud and live in love instead of hate. Hate would’ve been too easy, and nobody worth their salt who came from such land as hard as this would’ve stood by and let it win. 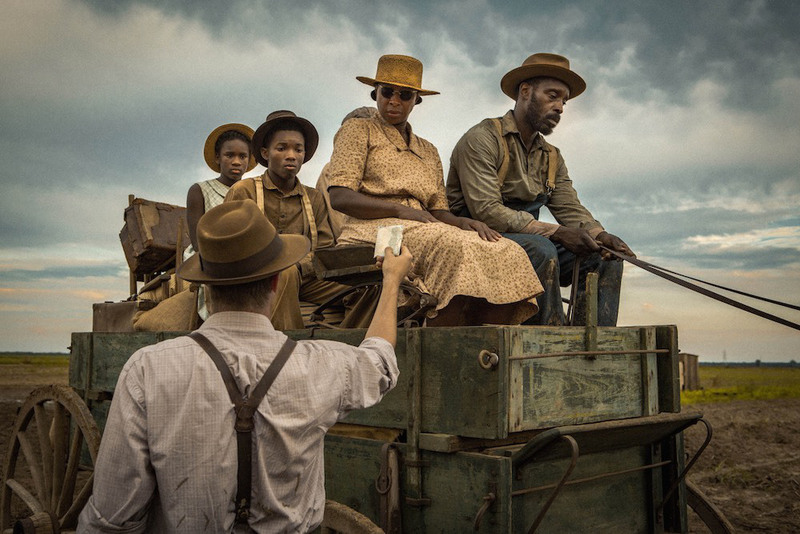 Note: Mudbound is currently playing in select movie-theaters and streaming on Netflix. It’s not to be missed. 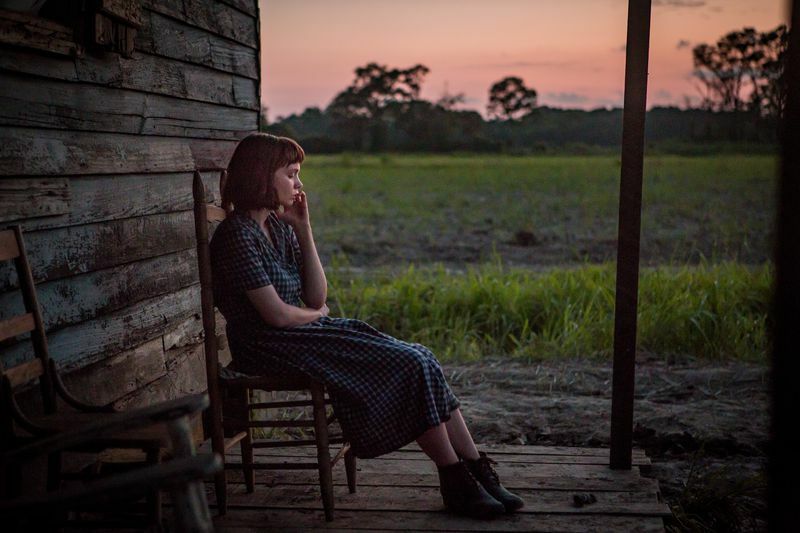 This entry was posted in Art-house Cinema, Book to Film Adaptations, History, Language, Literature, Movie Reviews, Movies and tagged Carey Mulligan, Dee Rees, Deeds, Farming, Garrett Hedlund, Hillary Jordan, Jason Clark, Jason Mitchell, Jonathan Banks, Land, Mako Kamitsuna, Mary J. Blige, Mississippi, Mudbound, Multiple POV's, Netflix, Ownership, Rachel Morrison, Racism, Rob Morgan, Virgil Williams, Voice Over Narration, WWII. A well-written review, as always. Interesting that we share similar thoughts, posted around the same time even. But yes, a film that’s so relevant today, and should not be missed. Thanks for stopping by, Arti. I enjoyed your insights into the book vs. the movie over at Ripple Effects. Admittedly I had not read the book, but my wife had.